The assassination of Osama bin Laden on May 1 is a result not only of years of efforts to find him but also of the positive mood trend underlying one of the strongest global stock market rallies in decades. Bin Laden had been fighting two social trends that are the inverse of each other: the increasing focus of the intelligence analysts pursuing him and the decreasing focus of his own followers. If anti-terrorist forces were to find bin Laden with the market still rising, it would be the kind of “news hook” that caps advances. Elliott Wave International has also anticipated a decline in Islamic extremism in step with the rally off the 2009 lows. [The] extremists probably do have one or two big tricks up their sleeve yet, [because] the mood in the early stages of a bull market tends to stay negative for some time. 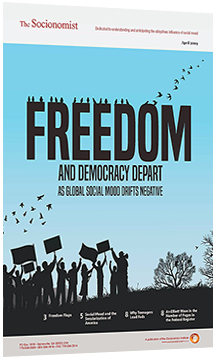 …But from a pure pattern perspective, these provocateurs will now have to wage their battle uphill [as] societies tend to lose their tolerance for antisocial behavior during bull markets. Events have since unfolded in accordance with that forecast. As the rally pressed higher, evidence of waning support for extremists began to mount. 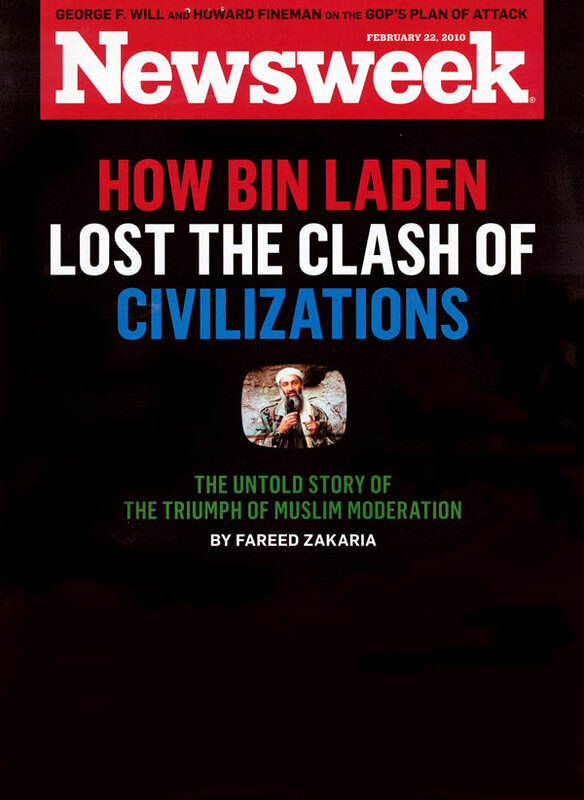 In February 2010, Newsweek reversed its stance and published a cover titled, “How Bin Laden Lost the Clash of Civilizations: The Untold Story of the Triumph of Muslim Moderation.” In September last year, the magazine Foreign Policy asked, “Is Bin Laden Still Relevant?” In early April 2011, three weeks before bin Laden was killed, a BBC news headline asked that same question again. Even the Afghan Taliban have adapted to the new social climate. The Taliban were bin Laden’s longtime hosts, and their reign of terror from 1996 to 2001 paralleled al-Qaeda’s heyday during emerging Asia’s long bear market of the late 1990s and early 2000s (see Figure 4). In a widely syndicated article titled, “Taliban Try Soft Power,” the Institute for War & Peace reported in April that “[e]xperts in Afghanistan say a softer line the Taliban is taking on issues like education and reconstruction projects is a tactical ploy to win broader popular support.” It quotes a high school educator as saying, “We don’t know why the Taliban have become so flexible…I left my home because I was a teacher and I was scared. But now the Taliban are encouraging us to go into school and teach.” The trend toward positive social mood in the region—implied by the bull market depicted in Figure 4—explains the underlying reason for this change. Some analysts suspect that Pakistan sheltered bin Laden. We don’t know if that is true, but Pakistan’s army is an ally of the Afghan Taliban. If the Afghan Taliban have moved mainstream, then Pakistan’s military might have been less interested in protecting the head of an organization that has bombed targets in Pakistan. In the end, it was an errant phone call made by bin Laden’s personal courier in the middle of 2010 that enabled the Americans to uncover bin Laden’s location in Pakistan. Mark Galasiewski is editor of Elliott Wave International’s The Asian-Pacific Financial Forecast. This article originally ran in the publication’s May 2011 issue.